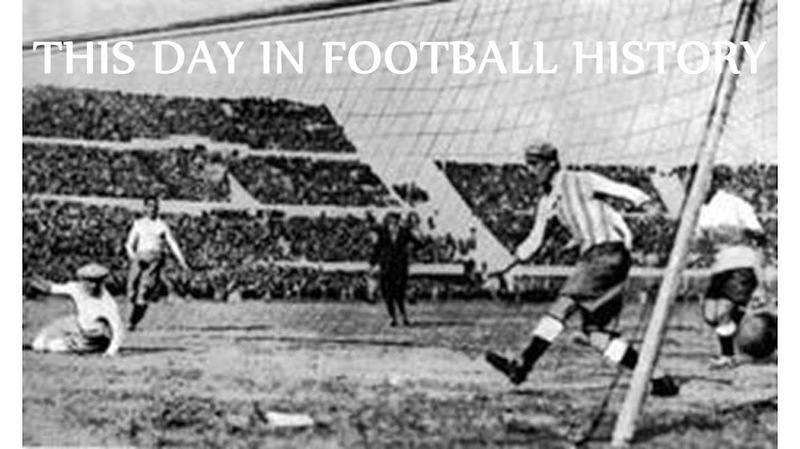 On 30 April 1949, Paraguay secured their record victory, beating Bolivia 7-0 in the Copa América. Dating back to 1910, the national team of Paraguay had finished as runners-up in the tournament three times, but had never won it. By the time they played Bolivia in 1949, they were again in second place, just behind Brazil, after losing to Uruguay ten days earlier. Playing before a crowd of 45,000 at Rio de Janeiro's Estádio São Januário, Paraguay looked determined to maintain their title challenge with a first-half hat-trick from Jorge Benítez. Forward Dionisio Arce added a fourth before the break. They contributed another goal each in the second half, while Pedro Fernández joined them on the scoresheet. It was a crushing defeat for Bolivia, but not their worst of the tourney--they had already lost to Brazil 10-1 earlier that month. Paraguay went on to beat Brazil 2-1 in the last scheduled match. The win drew the teams level in the table, forcing a playoff. That match ended 7-0, but Paraguay were on the wrong end that time as Brazil claimed their third Copa América title. 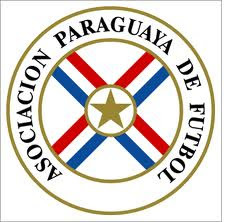 Paraguay did eventually win the tournament in 1953 and again in 1979. In 2010, Paraguay matched the 7-0 scoreline with a win over Hong Kong in a post-World Cup friendly. On 29 April 1996, Franz ("Der Kaiser") Beckenbauer returned to Bayern Munich for a second stint as manager and collected another piece of silverware in his two months in charge. Beckenbauer, who won four league titles and three European Cups with Bayern from 1964 to 1977, originally returned to the club for the second half of the 1993-94 season. After lifting them to the 1994 Bundesliga title, he stepped aside as manager, handing the reins to Giovanni Trapattoni. Beckenbauer remained with the club as president. Otto Rehhagel was their manager for the 1995-96 season, but despite some success on the pitch, he had a difficult relationship with the team's players, who considered his tactics and style to be too old-fashioned. Bayern cut ties with him in April 1996, just as the team was preparing to contest the UEFA Cup Final. Once more, they turned to Beckenbauer, who took over for the last two months of the season. His first match in charge was the UEFA Cup Final, which ended as a 2-0 victory over Bordeaux. Bayern proceeded to win one and draw one of their last four matches to secure a second-place spot in the Bundesliga. 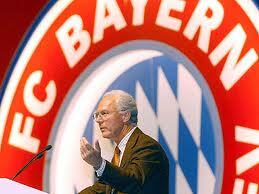 Beckenbauer stepped down once again, and once again turned the club over to Trapattoni. On 28 April 1923, Bolton Wanderers and West Ham met in the FA Cup Final. It was the first event ever held at the original Wembley Stadium. The stadium had been built over the course of the previous year at a cost of £750,000 and was ready for business just four days prior to the Final. Approximately 300,000 people turned up for the match, far in excess of the stadium's capacity of 127,000. 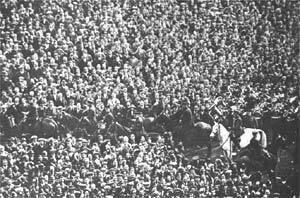 Spectators spilled out of the terraces and onto the pitch before the match, requiring mounted police to clear the field for the game. The day's iconic image shows constable George Scorey on a grey horse parting a sea of supporters. His horse, Billie, appeared white on film, giving rise to the match's nickname as the White Horse Final. The match itself was anticlimactic. Bolton went ahead in the second minute with a goal from forward David Jack. Jack's shot hit a spectator who was standing against the net, knocking him unconscious. Bolton forward Jack Smith doubled their lead in the 53rd minute and Wanderers held on for a comfortable 2-0 victory. Labels: 1923 FA Cup Final, Billie, Bolton Wanderers F.C., David Jack, George Scorey, Jack Smith, Wembley Stadium, West Ham United F.C. 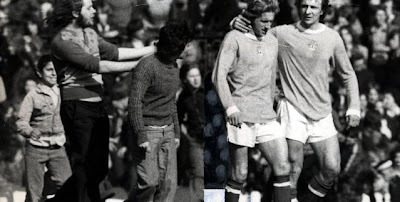 On 27 April 1974, Manchester City defeated Manchester United 0-1 at Old Trafford, securing United's relegation to the Second Division. The match's lone goal was scored by former European Footballer of the Year Denis Law, who had spent the previous eleven seasons with United before moving to City on a free transfer in the summer of 1973. United entered the match in 21st position on 32 points, three points behind Birmingham City, who were sitting above the drop in 19th place. At that time, wins earned two points each and United, with two matches left to play, had a match in hand. Thus, in order for United to avoid relegation, they needed at least a draw against City and a Birmingham loss. With less than 10 minutes to play, the match was scoreless. Then City pressed forward and the ball found its way into the United box where Law instinctively backheeled it into the net. Law's teammates rushed over to congratulate him, but he refused to celebrate, realizing that he had just sealed the fate of the club he loved. United's supporters invaded the pitch and the match was stopped. The scoreline held, though, 0-1 to City. As it turned out, Birmingham won their last match, so United would have gone down even if they had beaten City. Nevertheless, the goal is remembered as the one that sent them down to Division Two. In any event, they didn't stay down long, earning promotion back to the top flight at the first opportunity. Labels: Denis Law, Manchester City FC, Manchester United F.C. 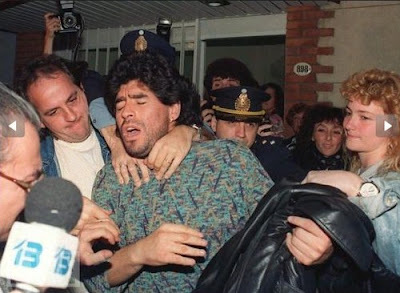 On 26 April 1991, police in Buenos Aires arrested Diego Maradona for possession of cocaine. It was one more twist in the spiraling descent of the Argentina star, who had just started serving a 15-month ban from Italian football. Although he was already suffering from a cocaine addiction when he joined Napoli in 1984, he reached his greatest potential while at the club, winning two Serie A titles (1987, 1990) and the UEFA Cup (1989). Meanwhile, he shined on the international stage for Argentina, guiding them to the 1986 World Cup trophy while winning the Golden Ball at the tournament's best player. But in March 1991, the Italian Football Federation suspended Maradona for 15 months after he tested positive for cocaine. He returned to Buenos Aires, but could not escape his troubles. On the morning on 26 April, police roused him from bed at his apartment and arrested him for possession of cocaine. Maradona's ongoing problems proved too much for Napoli, who transferred him to Sevilla in 1992 at the completion of his suspension. His troubles continued, however, including a dismissal from the 1994 World Cup after a positive test for ephedrine and another arrest for cocaine possession in 1997. The latter effectively ended his playing career. He returned to the sport in 2008 to manage Argentina's 2010 World Cup campaign, but his contract expired after the tournament. He followed that with a brief spell in charge of UAE club Al Wasl from 2011 to 2012 and he is currently out of football. On 25 April 2004, Arsenal drew 2-2 with Tottenham at White Hart Lane. The point they earned was enough to clinch the Premier League title with four matches remaining. The Gunners were near the end of an incredible season, having gone undefeated in the league. They started the day on 81 points, nine clear of second-place Chelsea and with a game in hand. Playing before a crowd of 36,097 at the home of their fierce derby rivals, Arsenal never looked in danger of losing the title. They went ahead after only three minutes, as Thierry Henry recovered the ball from a failed Spurs corner, sped down the pitch and fed it to Dennis Bergkamp. The Dutchman delivered a precise cross for captain Patrick Vieira, who provided the final touch that put the ball into the net. Bergkamp started the attack for Arsenal's second goal in the 35th minute, beating the Tottenham defenders with a through ball to Vieira, who then gave it to Robert Pires for the finish. Amid constant pressure from Arsenal, Tottenham fought back, cutting the deficit to one with a goal from Jamie Redknapp in the 63rd minute. Then, in stoppage time, Arsenal keeper Jens Lehmann fouled Robbie Keane, who converted the ensuing penalty kick to earn the draw. The result put Arsenal ten points clear of Chelsea, who had lost that day to Newcastle and had only three games left. Arsenal drew two of their last four, but finished the season undefeated. Labels: Arsenal F.C., Dennis Bergkamp, Patrick Vieira, Robert Pires, Tottenham Hotspur F.C. 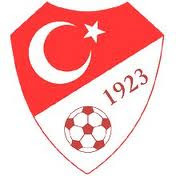 On 23 April 1923, the Turkish Football Federation formed, creating a national team that would become a force in Europe and eventually reach third place in the World Cup. Shortly after formation, Turkey joined FIFA, but did not qualify for a World Cup until 1950. They withdrew from that tournament, however, claiming they could not afford to send their team to Brazil for the competition. They did show up in 1954, but were eliminated in a first-round playoff by eventual champions West Germany. Turkey did not participate in another World Cup until 2002, when they stunned observers by taking third place. Their run in the tournament included wins over China (3-0 in the group stage), co-hosts Japan (0-1 in the Round of 16), and Senegal (0-1 in the quarterfinals) before a second 1-0 loss to Brazil (who had beaten them by the same score in the group stage) sent them to the third-place match. There, they downed the other co-hosts, South Korea, 2-3, in a dominant performance that belies the close margin of victory. Since 1962, Turkey has been a member of UEFA and has qualified for the European Championship in 1996, 2000, and 2008. In the latter, they advanced to the semifinals with electrifying wins over the Czech Republic and Croatia before losing to Germany. On 22 April 2000, FC Gueugnon became the first--and to date only--team from outside the top flight to win the Coupe de la Ligue, beating Paris Saint-Germain 2-0. Founded in 1940, Gueugnon spent their first forty years as an amateur club. They eventually turned professional in 1980, earning promotion to Division 1 in 1995, but were relegated after one season. In Division 2 for the 1999-2000 season, they faced only one Division 1 team on their way to the Coupe de la Ligue Final, beating Strasbourg 2-0 in the quarterfinals. In the final, they faced two-time winner PSG (who would finish the year in Division 1's second place). Playing in Paris at the Stade de France, PSG were a heavy favorite, but were unable to crack Gueugnon's defense. The underdogs seemed to gain enthusiasm with every minute as they stifled PSG's attack and, in the 65th minute, a 25-yard blast from Gueugnon midfielder Nicolas Esceth-N'Zi fell at the feet of teammate Marcelo Trapasso, who tapped it in for the go-ahead goal. Gueugnon doubled their lead in the 90th minute when Sylvain Flauto (pictured), who had come on as N'Zi's replacement, turned a cross into the net. The whistle blew shortly afterward. The win proved to be costly to Gueugnon, as they lost several key players to bigger clubs, including defender Sylvain Distin, who left for Arsenal. Gueugnon dropped through the ranks to the third tier and were liquidated in 2011. Later that year, they reformed and re-entered the league at the sixth tier. 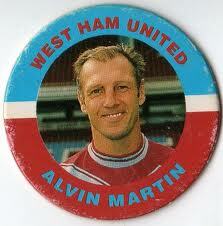 After earning promotion in 2013, they currently play in the fifth tier..
On 21 April 1986, West Ham center back Alvin Martin scored a rare hat-trick against Newcastle--with each goal coming against a different goalkeeper. Playing before a crowd of almost 25,000 at Upton Park, Newcastle began the day with Martin Thomas, their regular goalkeeper. Thomas had missed their previous match, a 1-1 draw at Chelsea, due to a shoulder injury and was still not completely fit. But Newcastle's back-up keeper had himself gotten injured at Stamford Bridge and did not make the trip to West Ham, so Thomas had to start. After only four minutes, Martin beat Thomas for his first goal of the day. By halftime, with Thomas having conceded two more West Ham goals and a Newcastle own-goal, he was unable to continue, replaced by midfielder Chris Hedworth for the second half. Hedworth lasted less than 30 minutes in goal after damaging his collarbone on an awkward fall, but not before Martin scored again. As Hedworth returned to the midfield, forward Peter Beardsley stepped between the pipes and conceded three more goals, the last of which was delivered by Martin in the 84th minute. The Hammers ended the season in third place, their best-ever finish. Martin remained at Upton Park until 1996, when he moved to Leyton Orient. Labels: Alvin Martin, Chris Hedworth, Martin Thomas, Newcastle United F.C., Peter Beardsley, West Ham United F.C. On 20 April 2010, Inter Milan scored against Barcelona for the first time in three matches that season, winning 3-1 in the opening leg of their Champions League semi-final match-up en route to winning the trophy. The two teams met twice in the group stage, with the first match ending as a scoreless draw in Milan and the second as a 2-0 Barcelona victory at Camp Nou. Barcelona won the group, then advanced to the semi-finals over Stuttgart and Arsenal. Inter's path, meanwhile, went over manager José Mourinho's former club Chelsea and CSKA Moscow. Playing before a crowd of 83,000 at the San Siro, Barcelona jumped to a first-half lead with a 19th-minute goal from Pedro, but Real Madrid cast-off Wesley Sneijder equalized in the 30th minute. Then, while playing a tenacious defensive game that stymied Barça playmaker Lionel Messi, Inter pushed ahead in the 48th minute--taking the ball from Messi and sending it up the pitch to Diego Milito, who then fed it to right back Maicon (pictured) to slot home. Milito provided the day's final goal, knocking home Sneijder's misplaced header in the 61st minute. Barcelona poured forward, but Inter keeper Julio Cesar repeatedly denied their attempts on goal to secure the 3-1 victory. Barça won the second leg 1-0, but Inter advanced by the aggregate score of 3-2 and went on to win their first European Cup/Champions League title since 1965. On 19 April 1957, Chelsea set an English record by becoming the first team to travel by plane for a domestic away match. The decision was one of necessity, not extravagance. 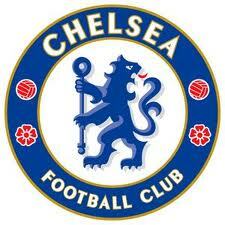 The Blues played that day against Newcastle, whose St. James Park is just over 280 miles away from Stamford Bridge. Chelsea won that match, then needed to return home to host Everton the very next day. While Chelsea would ordinarily return by bus, the club decided that time was more important than money and chartered a flight back to London. The plan worked, as they defeated Everton 5-1. Labels: Chelsea F.C., Everton F.C., Newcastle United F.C. On 18 April 2001, Manchester United took a team photo of their starting XI--with a surprise twelfth person. United were at Munich's Olympic Stadium for the second leg of their Champions League quarterfinal against Bayern Munich, having lost the first leg 0-1 at Old Trafford. As the starters gathered on the pitch for their pre-match photo, they were unknowingly joined by out-of-work laborer Karl Power (pictured at far left). Power had snuck into the stadium disguised as a member of a television crew, then changed into the Manchester United away kit and walked out unchallenged onto the pitch for the photo. Some of the players noticed him (such as Roy Keane, standing at far right and looking at Power), but he managed to stay for the photo, then retreated into the stands to watch the match. He claimed that he had spent two years planning the stunt and later pulled similar pranks, such as walking out with the English cricket team for a match, performing the haka before an English rugby match, and sneaking onto Wimbledon's Centre Court. In 2003, he received a lifetime ban from Old Trafford after invading the pitch to re-enact a famous Diego Forlán goal. Labels: F.C. Bayern Munich, Karl Power, Manchester United F.C. On 17 April 2004, Sochaux won their first trophy in 40 years, beating Nantes on penalties in the Coupe de la Ligue Final. It was the second straight final for Sochaux, who had lost to Monaco the previous season, and the first one for Nantes. The teams exchanged a pair of early goals, with forward Grégory Pujol striking first for Nantes in the 13th minute, then defender Sylvain Monsoreau heading Sochaux level five minutes later. Nantes looked likely to regain the lead several times, but were repeatedly denied by Sochaux goalkeeper Teddy Richert (pictured), including one point-blank save against Nantes midfielder Frédéric de Rocha late in the match. Locked at 1-1 after extra time, the game went to a penalty shootout. Still level after six kicks, Sochaux defender Maxence Flachez sent his attempt over the crossbar. The miss opened the door for Nantes' next kicker, goalkeeper and captain Mickaël Landreau, to seal the win. But he tried a simple chip that Richert saved with ease. 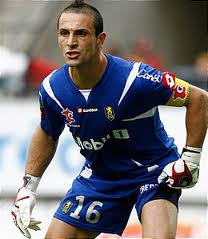 After Sochaux captain Benoît Pedretti beat Landreau on the next attempt, Richert once again made a crucial stop, diving to his right to save Nantes' last shot and end the match as a Sochaux victory. On 16 April 1977, Swedish national team captain, Arsenal star midfielder, and Calvin Klein model Freddie Ljungberg was born in Vittsjö. He started his professional footballing career with Swedish side Halmstad in 1994 after spending 12 years in their youth team. In five seasons there, he won both the Swedish Cup (1995) and the league (1997). His performances drew the attention of Arsenal, who set a Swedish transfer record when they signed him in 1998 for £3 million. Reportedly, manager Arsène Wenger signed him based solely on his performance in a televised match against England and had not seen him in person. 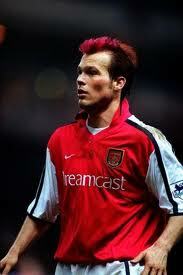 At Arsenal, Ljungberg quickly established himself as a fan favorite due to his frenetic style of play that helped the club to two league titles (2002, 2004) and three FA Cups (2002, 2003, 2005). While there, he signed as an underwear model with Calvin Klein, serving as the face of one of their most successful ad campaigns. A series of injuries led to his departure from Arsenal in 2007. After a brief spell with West Ham and a short time away from football, Ljungberg moved to the US to play for the Seattle Sounders in 2008. Free from injury, his performances led to his being named to the 2009 MLS All-Star team. He retired in 2014 after spells with the Chicago Fire, Celtic, Shimizu S-Pulse, and Mumbai City. Internationally, he made 75 appearances for Sweden between 1998 and 2008, playing in the 2002 and 2006 World Cups. He captained the team for their Euro 2008 campaign and drew praise as their best player on the tournament despite their early exit. 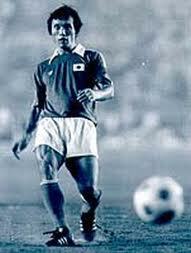 On 15 April 1944, 6-time Japanese league golden boot winner Kunishige Kamamoto was born in Kyoto. He was also the top scorer at the 1968 Summer Olympics, where Japan took the bronze medal. Kamamoto joined the Japanese national team in 1964 while still a student at Waseda University. A striker, he started every match for them during the 1964 Summer Olympics, including a 3-2 win over Argentina in which Japan came back from a 1-2 deficit by scoring in the 81st and 82nd minutes. Kamamoto did not score any of Japan's goals in that tournament, but made up for it in 1968. There, he opened Japan's campaign with a hat-trick in a 3-1 over Nigeria. After draws against Brazil and Spain, he then scored two more against France in the quarterfinals as Japan again won by a margin of 3-1. They were eliminated by eventual champions Hungary, 5-0, but proceeded to win the third-place match against hosts Mexico, 2-0, with Kamamoto providing both goals to finish with a tournament-high total of seven. He retired from international football in 1977 and remains Japan's top scorer with 75 goals in 76 appearances. He spent his entire club career with Yanmar Diesel. Playing from 1967 to 1984, he scored 202 goals in 251 league appearances, winning four league titles (1971, 1974, 1975, 1980) and six golden boots (1968, 1970, 1971, 1974, 1975, 1976, 1978) . On 14 April 1998, manager Steve Sampson dropped captain John Harkes from the US World Cup squad in a decision that would not be fully explained for almost 12 years. Harkes first joined the national team in 1987 while still a student at the University of Virginia. He quickly secured a regular starting position in the midfield and helped the US qualify for the 1990 World Cup--their first since 1950--and played every minute for the US in the tournament. He returned to the World Cup in 1994 as the US advanced out of the group stages, but missed the Round of 16 match-up against Brazil because of an accumulation of yellow cards. Brazil won 1-0. Steve Sampson took charge of the national team in 1995 and, shortly afterward, named Harkes his "Captain for Life." 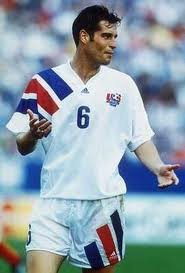 But on 14 April 1998, after the US had qualified for that year's World Cup, Sampson dropped Harkes from the team, citing a variety of reasons such as reluctance to play defense, missing team flights, and ignoring curfew. Harkes denied the allegations, but claimed that, even if they were true, they did not justify his exclusion from the squad. In any event, the US finished the 1998 World Cup without a single point. In February 2010, Sampson finally revealed the real reason for his decision, claiming that Harkes had had an affair with the wife of teammate Eric Wynalda. The revelation came in the wake of a scandal that saw England captain John Terry lose the armband over an affair with the girlfriend of teammate Wayne Bridge, with Sampson stating that "maybe people will have a little better of an understanding of what happened in the final months leading up to the World Cup." 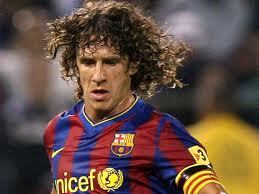 On 13 April 1978, Barcelona captain and World Cup winner Carles Puyol was born in La Pobla de Segur. After starting his career with his hometown team, Puyol joined the Barcelona youth team in 1995 and has remained with the club for his entire career, earning promotion to the first team in 1997 under manager Louis van Gaal. When Puyol was 19, van Gaal encouraged him to get a haircut, but Puyol declined and his long curly hair has become a trademark. Primarily used as a center back, Puyol made 593 appearances for Barça and captained the team from 2004 until his retirement in 2014. Under his leadership, they won six league titles, three Champions League trophies, and two FIFA World Club Cups. In 2000, he made his first appearance for Spain and was a key member of their victories campaigns in Euro 2008 and the 2010 World Cup. In the latter, he scored a rare goal to give Spain a 1-0 victory over Germany in the semi-finals, then helped hold the Netherlands scoreless as Spain won 0-1 in extra time. On 12 April 1992, Manchester United defeated Nottingham Forest in the League Cup Final. It was the first League Cup for the club and the first piece of silverware for Ryan Giggs, who later became the most decorated British player in history. 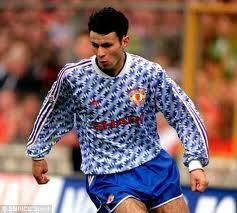 It was United's second consecutive appearance in the Final after losing to Sheffield Wednesday the year before. Forest, meanwhile, had won it in 1990, the last of four League Cups won by the club under manager Brian Clough. Played before a crowd of almost 77,000 at Wembley Stadium, it was closely-fought affair, with Giggs (pictured) providing the assist for the day's only goal, scored in the 14th minute by United forward Brian McClair. It was only the third domestic trophy for manager Alex Ferguson, after the 1990 FA Cup and the 1990 FA Charity Shield (the latter shared with Liverpool), but he had also won the Cup Winners' Cup and the UEFA Super Cup in 1991. He and Giggs would go on to win a multitude of additional silverware with United, including 13 league titles, 4 FA Cups, 3 League Cups, and 2 Champions League trophies. Two of Forest's starting XI that day, Roy Keane and Teddy Sheringham, would themselves later win trophies with United as well. It was the last cup final for Clough, who had already won 2 league titles and 2 European Cups. He retired in 1993. 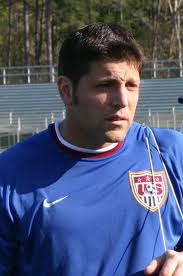 On 11 April 2006, goalkeeper Tony Meola returned to the US national team to earn his 100th cap after a four-year break. Meola joined the national team in June 1988. Later that summer, he replaced Los Angeles Heat keeper David Vanole as the full-time starter and manned the posts for the US in the 1990 and 1994 World Cups. He captained the side for the 1994 tournament, including their dramatic 2-1 win over Colombia. His trademark ponytail made him the face of US football, but after the tournament, he decided to try out for the NFL's New York Jets as an kicker, then briefly pursued an acting career. He returned to the national team in 1999, but had fallen to their third-choice keeper behind Brad Friedel and Kasey Keller. Although manager Bruce Arena--who had coached Meola at the University of Virginia--selected him for the 2002 World Cup squad, Meola did not see the pitch during the tournament. In 2006, Arena recalled Meola to the squad for a friendly against Jamaica that ended 1-1. It was his last national team appearance, but it made him the ninth player, and the only goalkeeper, to reach the 100-cap milestone for the US. 10 April 1886 - I'll Bet Joe's Nickname Was "Sweetcheeks"
On 10 April 1886, Blackburn Rovers won their third straight FA Cup. It was only the second--and last--time any club won three in a row. Founded in 1875, Rovers found early success in the FA Cup. They advanced to the Final in 1882 where they lost to Old Etonians, 1-0. 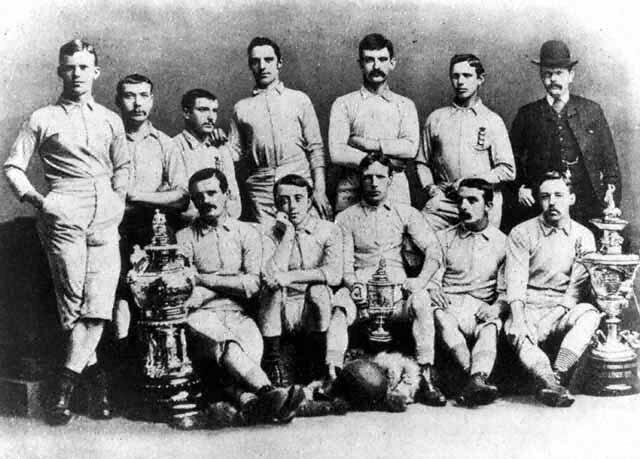 After a Second Round exit in the 1882-83 tournament (which was won by local rivals Blackburn Olympic), Rovers returned to the Final in 1884 and 1885, winning both against Scottish side Queen's Park. In the 1886 Final, they faced off against West Bromwich Albion. The two sides first met on 3 April at the Finals' usual venue, London's Kennington Oval, but played to a scoreless draw. West Brom proposed playing into extra time, but Blackburn declined, forcing a replay one week later. The replay was held at the Racecourse Ground in Derby, the first time a Final had been hosted outside of London. A crowd of 12,000 watched as Rovers secured a 2-0 victory with goals from forwards Joe Sowerbutts and James Brown (who was also the team captain). Before then, the only team to win three consecutive FA Cups was London side Wanderers, who won the tournament in 1876, 1877, and 1888. West Brom won the Cup two years later and have five FA Cups total. Blackburn meanwhile, went on to win it three more times for a total of six, with the last coming in 1928. 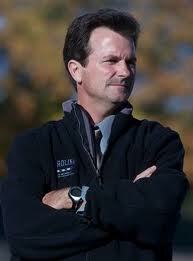 On 9 April 1951, US National Hall of Fame coach Anson Dorrance was born in Bombay, India. He went on to guide the UNC women's team to 21 national championships and the US national team to the 1991 Women's World Cup. The son of an American oil executive, Dorrance spent the early part of his life abroad, including a lengthy spell in Kenya where he cultivated his love of football. While a student at the University of North Carolina, he walked onto the football team and earned all-ACC honors three times. He took over as coach of the UNC men's team in 1977 and ran it until 1988. In the process, he won the 1987 ACC title and led UNC to that season's NCAA Final Four. His success that season resulted in the NCAA naming him their 1988 Men's Soccer Coach of the Year. In 1979, while still coaching the men's team, Dorrance also took charge of the newly-established UNC women's team. He won his first NCAA title in his third season, with his team winning all 23 matches they played. Under Dorrance, UNC went on to win 21 NCAA titles with players such as Mia Hamm, Kristine Lilly, and April Heinrichs. From 1986 to 1994, Dorrance also managed the US women's national team, taking them to the first Women's World Cup in 1991. Led on the pitch by Hamm and Lilly, they claimed the title by winning all six of their matches in the tournament. Dorrance remains at UNC, who won their most recent national title in 2012. On 8 April 2010, AFC Aldermaston were on the wrong end of a new English record after losing their 40th straight match. Three days earlier, Alderston matched the previous record of 39, set by Stockport United in 1977, when they suffered a crushing 0-6 defeat to Tadley Calleva FC. But they had hopes of ending the streak there; on 8 April, they made it to the 86th minute level with hosts Downton FC despite being down to ten men. Downton dashed those hopes by scoring twice in those last few minutes to end the match 2-0. Afterward, Aldermaston chairman Damion Bone identified several reasons for the poor run of form, stating "It's an accumulation of lots of things. We lost a lot of players at the start of the season, always struggling to get players to turn out for long mid-week games, going away from home." 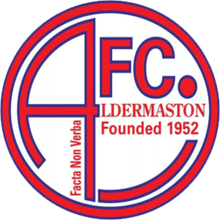 Aldermaston ended the streak in their next match, drawing 1-1 with Warminster Town, then recorded their first win of the season on 14 April by beating Petersfield Town 2-1. It was too late to save the club from relegation, however, and they dropped out of the Wessex League to their current home in England's 11th tier, the Thames Valley Premier League. On 7 April 1981, Auxerre defeated Nantes 0-1, ending a five-year home unbeaten streak for the hosts. The streak began in June 1976 under manager José Arribas, in the last month of his 16-year tenure in charge of the club. On 4 June, Nantes managed a 1-1 draw with Nice, then won their only remaining home match of the season, a 1-0 victory over Nîmes on the season's last day. Over the summer, Jean Vincent replaced Arribas and presided over the remainder of the unbeaten streak, staying with the club until 1982. During that time, the run extended to a Ligue 1-record 92 consecutive matches and included two league titles (1977, 1980) and one Coupe de France (1979). The streak-ending loss to Auxerre in 1981 likely cost Nantes another league title, as they finished that season in second, two points behind Saint-Etienne. Nantes' 92-match streak is one of the best home league unbeaten runs, within striking distance of PSV (93) and Red Star Belgrade (96), but still well behind the top mark of 121 set by Real Madrid from 1957 to 1965. 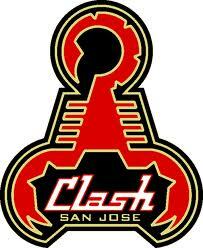 On 6 April 1996, the San Jose Clash hosted DC United for the inaugural Major League Soccer match. San Jose won, 1-0, but United went on to win the league title. The new league was part of the deal that brought the World Cup to the United States in 1994. Only ten teams contested that first season, followed by a playoff tournament to decide the league champion. In addition to the tournament, MLS departed from the International Football Association Board rules by using a countdown clock (which paused for stoppages of play) and shootouts to decide matches that were even at the end of regulation. It looked as if the shootout procedure might be needed in that first game, played before a capacity crowd of 31,683 at San Jose's Spartan Stadium. But with two minutes left, Clash forward Eric Wynalda dribbled into the DC United box, beat one defender, then split two others to fire a shot into the far corner of the net. It was the very first goal scored in MLS and was enough to give the victory to the Clash. In 1999, the Clash renamed themselves the Earthquakes, taking the name from the city's old NASL team. The team moved to Houston in 2006 and became the Dynamo, while the Earthquakes name and records remained in San Jose. After a two-year hiatus, the Earthquakes team rejoined MLS in 2008. On 5 April 2009, Luton Town won the Football League Trophy in extra time over Scunthorpe, capping a run of last-gasp heroics for the Hatters in the tournament. The run of good fortune did not extend elsewhere, however, as Luton Town finished the season at the bottom of the English fourth tier and were relegated out of the Football League entirely. The Football League Trophy, currently known as the Johnstone's Paint Trophy, is an annual tournament open only to teams in the third and fourth divisions of the England's Football League. That season, Luton entered the competition in the Second Round, where they advanced on penalties over Brentford, 2-2 (4-3). After close 1-0 wins over Walsall and Colchester, Luton again advanced on penalties, this time over Brighton & Hove Albion in the semifinals 1-1 (4-3). Playing before a crowd of 55,378 at Wembley, Scunthorpe took an early lead with a 14th-minute goal from striker Gary Hooper, but Luton pushed ahead with goals from their forward pairing of Chris Martin (32') and Tom Craddock (70'). Scunthorpe midfielder then ensured extra time with a strike in the 88th minute, but it was Luton who took advantage as substitute winger Claude Gnapka provided the 95th-minute match-winner. That's where the magic ended for Luton, who went on to endure their third consecutive relegation thanks to a 30-point deduction at the beginning of the season for financial reasons. They dropped out of the Football League and into the Football Conference, so that they were unable to defend their title the next season. On 4 April 1936, Scotland claimed the British Home Championship with a late penalty kick against England at Wembley. And it took three tries. Played before a crowd of 93,267, it was the last match of the tournament and the stakes were high; a win for either side would deliver the title, while Scotland could also win it with a draw. 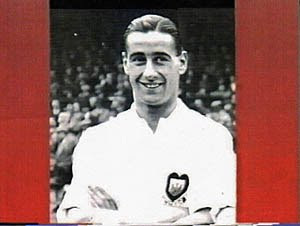 The hosts went ahead at the half-hour mark with a goal from striker George Camsell (playing in the seventh of his nine matches for England; he scored in all nine). England held on desperately to the slim lead, but, in the 75th minute, captain Eddie Hapgood conceded a penalty. Scotland's 20-year old inside forward, Tommy Walker (pictured), volunteered to take the kick. He twice placed the ball on the spot only to see it twice blown away by the wind. With the stadium virtually silent, Walker again placed the ball, then coolly slotted it home. The match ended as a 1-1 draw to give Scotland their 26th championship and first solely-held title since 1929. On 3 April 1999, Liverpool won the Merseyside derby over Everton 3-2 in a match best remembered for a provocative goal celebration. Although Everton were sitting seven spots below Liverpool in the table and the two teams had played to a scoreless draw earlier that season at Goodison Park, the visitors stunned the home crowd with a goal from midfielder Olivier Dacourt after only 41 seconds. He unleashed a powerful volley from 30 yards out that skimmed the head of defender Steve Staunton and beat keeper David James. But the lead did not last long. A trip by Everton's Marco Materazzi on Paul Ince led to a 15th-minute penalty kick, which Robbie Fowler converted with ease. Fowler, who previously had been accused of drug abuse by the Everton supporters, then raced to the goal line, dropped to his knees, and pretended to snort the white line in front of the visiting fans. Police soon stepped into the area to quiet the ensuing uproar. Liverpool proceeded to win 3-2 after another goal from Fowler (21') and a one from Patrik Berger (82'), while Everton's Francis Jeffers (84') provided the day's last goal. Afterward, Liverpool manager Gérard Houllier attempted to explain Fowler's celebration by saying the striker was really pretending to eat the grass, claiming it was a Cameroonian tradition learned from teammate Rigobert Song. The FA clearly disagreed, suspended Fowler for six matches (including time for another incident) and fining him £32,000. Liverpool also fined him an additional £60,000 for bringing the game into disrepute. On 2 April 1989, Arsenal defender and captain Tony Adams had the misfortune of being the only goalscorer in the Gunners' 1-1 draw with Manchester United at Old Trafford. Adams scored his first goal of the day to give Arsenal a 0-1 lead, only to bring Man United level when he inadvertently put the ball into his own net. 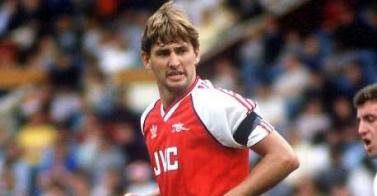 Adams had skippered the Arsenal side for just over a year, having been appointed in January 1988 at the age of 21, making him the youngest Arsenal captain to that point. His tenure as captain improved, however, as Arsenal went on to claim the league title in 1989 with their famous 0-2 win at Anfield in their last match of the season. 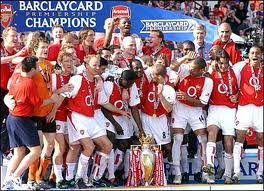 He also led Arsenal through their record-breaking unbeaten league season in 2003-04. Adams held onto the captain's armband for fourteen years before retiring in 2002 as one of Arsenal's most decorated players. During his career, in addition to the 1989 title, he helped Arsenal to three more league titles (in 1991, 1998, and 2002), three FA Cup trophies (1993, 1998, 2002), two League Cup trophies (1987, 1993), a European Cup Winners' Cup (1994), and three Community Shields (1991 (shared), 1998, 1999 ). He made 504 appearances for Arsenal, scoring 32 goals.